Postdoctoral Research Fellow in the lab of Prof. Paul Schulze-Lefert at Max Planck Institute for Plant Breeding Research, Cologne, Germany. Principle Investigator at Institute of Genetics and Developmental Biology, Chinese Academy of Sciences, Beijing, China. 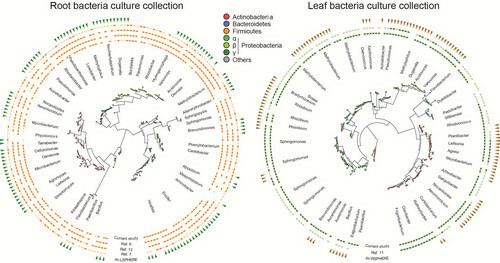 In nature, healthy plants interact with diverse microbial communities mainly in roots and leaves. These microbes contain huge amount of functional genes and play important roles for plant growth and health. In our laboratory, we focus on plant microbiota’s functions in disease resistance and nutrient uptake by metagenomic sequencing, high throughput microbial cultivation and reconstitution. Hirokazu Toju, Kabir G. Peay, Masato Yamamichi, Kazuhiko Narisawa, Kei Hiruma, Ken Naito, Shinji Fukuda, Masayuki Ushio, Shinji Nakaoka, Yusuke Onoda, Kentaro Yoshida, Klaus Schlaeppi, Yang Bai, Ryo Sugiura, Yasunori Ichihashi, Kiwamu Minamisawa & E. Toby Kiers. 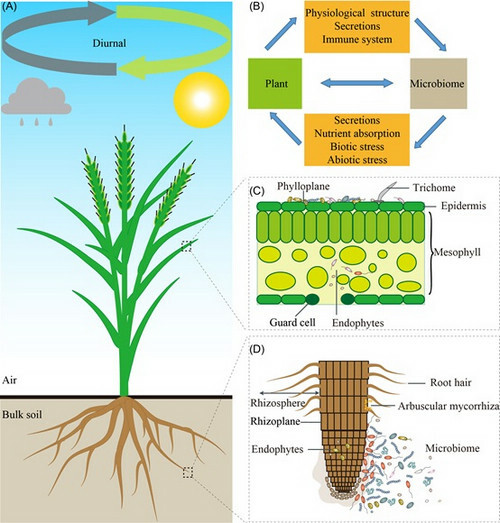 (2018) Core microbiomes for sustainable agroecosystems, Nature Plants 4, 247-257. Wang Wei#, Hu Bin#, Yuan Dingyang, Liu Yongqiang, Che Ronghui, Hu Yingchun, Ou Shujun, Zhang Zhihua, Wang Hongru, Li Hua, Jiang Zhimin, Zhang Zhengli, Gao Xiaokai, Qiu Yahong, Meng Xiangbing, Liu Yongxin, Bai Yang, Liang Yan, Wang Yi-Qin, Zhang Lianhe, Li Legong, Sodmergen Sodmergen, Jing Hai-Chun, Li Jiayang, Chu Chengcai*. (2018) Expression of the Nitrate Transporter Gene OsNRT1.1A/OsNPF6.3 Confers High Yield and Early Maturation in Rice, The Plant Cell, 30, 638-651. Alexander Sczyrba#, Peter Hofmann#, Peter Belmann#, David Koslicki, Stefan Janssen, Johannes Droege, Ivan Gregor, Stephan Majda, Jessika Fiedler, Eik Dahms, Andreas Bremges, Adrian Fritz, Ruben Garrido-Oter, Tue Sparholt Jorgensen, Nicole Shapiro, Philip D Blood, Alexey Gurevich, Yang Bai, Dmitrij Turaev, Matthew Z DeMaere, Rayan Chikhi, Niranjan Nagarajan, Christopher Quince, Fernando Meyer, Monika Balvociute, Lars Hestbjerg Hansen, Soren J Sorensen, Burton K H Chia, Bertrand Denis, Jeff L Froula, Zhong Wang, Robert Egan, Dongwan Don Kang, Jeffrey J Cook, Charles Deltel, Michael Beckstette, Claire Lemaitre, Pierre Peterlongo, Guillaume Rizk, Dominique Lavenier, Yu-Wei Wu, Steven W Singer, Chirag Jain, Marc Strous, Heiner Klingenberg, Peter Meinicke, Michael Barton, Thomas Lingner, Hsin-Hung Lin, Yu-Chieh Liao, Genivaldo Gueiros Z Silva, Daniel A Cuevas, Robert A Edwards, Surya Saha, Vitor C Piro, Bernhard Y Renard, Mihai Pop, Hans-Peter Klenk, Markus Goeker, Nikos C Kyrpides, Tanja Woyke, Julia A Vorholt, Paul Schulze-Lefert, Edward M Rubin, Aaron E Darling, Thomas Rattei, Alice C McHardy*. 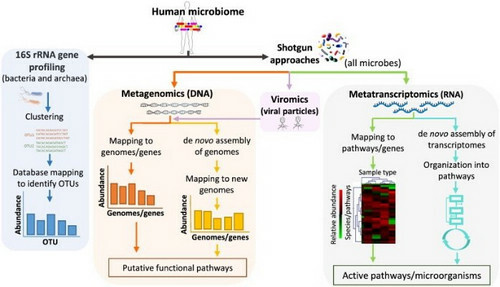 (2017) Critical Assessment of Metagenome Interpretation ？ a benchmark of computational metagenomics software, Nature Methods 14, 1063-1071. Muller, BD., Vogel, C., Bai, Y. and Vorholt, AJ. 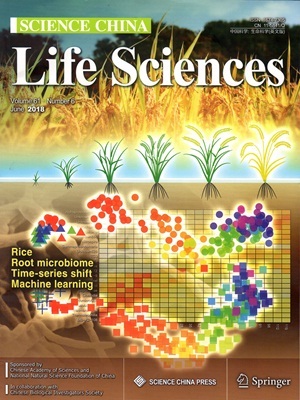 (2016) The plant microbiota: systems and synthetic biology insights and perspectives. Annual Review of Genetics . Bai, Y.#, Müller, BD.#, Srinivas, G.#, Garrido-Oter, R.#, Potthoff, E., Rott, M., Dombrowski, N., Münch, CP., Spaepen S., Remus-Emsermann, M., Hüttel, B., McHardy, AC., Vorholt, AJ. *, and Schulze-Lefert, P*. (2015) Functional overlap of the Arabidopsis leaf and root microbiotas. Nature 528, 364-369. Zamioudis, C., Korteland, J., Van Pelt JA., van Hamersveld M, Dombrowski, N., Bai, Y., Hanson, J., Van Verk MC., Ling, HQ., Schulze-Lefert, P., and Pieterse, C. (2015). Rhizobacterial volatiles and photosynthesis-related signals coordinate MYB72 in Arabidopsis roots during onset of induced systemic resistance and iron deficiency responses. Plant J 86, 309-322. Bai, Y.#, Vaddepalli, P.#, Fulton, L.#, Bhasin, H.#, Hulskamp, M., and Schneitz, K. (2013). ANGUSTIFOLIA is a central component of tissue morphogenesis mediated by the atypical receptor-like kinase STRUBBELIG. BMC Plant Biol 13, 16. Bai, Y.#, Falk, S.#, Schnittger, A.#, Jakoby, M.J., and Hulskamp, M. (2010). Tissue layer specific regulation of leaf length and width in Arabidopsis as revealed by the cell autonomous action of ANGUSTIFOLIA. Plant J 61, 191-199.